The MAGI bench is a tribute to the Magister sofa, a historic icon of the company. 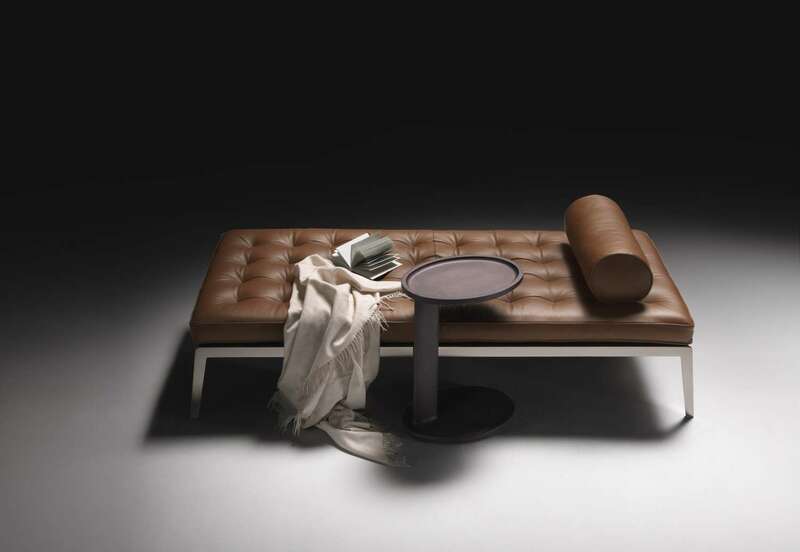 The padded seat of this elegant daybed replicates that particular capitonné workmanship, replacing the classic button with a double eyelet closed by a cowhide cord. A detail that accentuates the tailor-made quality of this extremely refined product. 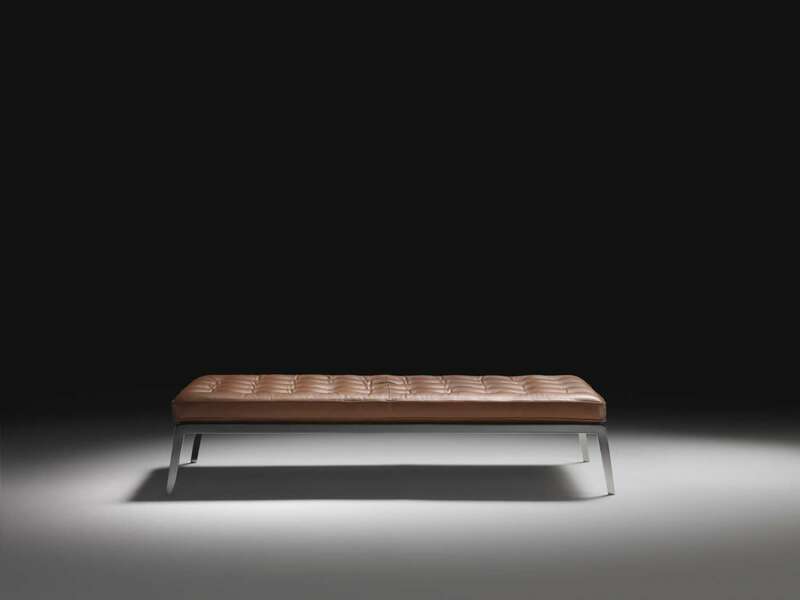 For use together with any FLEXFORM sofa, the MAGI bench also has great appeal on its own, isolated like a totem in the hall of a luxury hotel.